KING CITY >> A voter-approved measure to limit oil production in Monterey County does not keep the state from further considering allowing expansion of the boundaries of an aquifer where oil-production wastewater is being injected, according to a letter sent to Measure Z proponents. 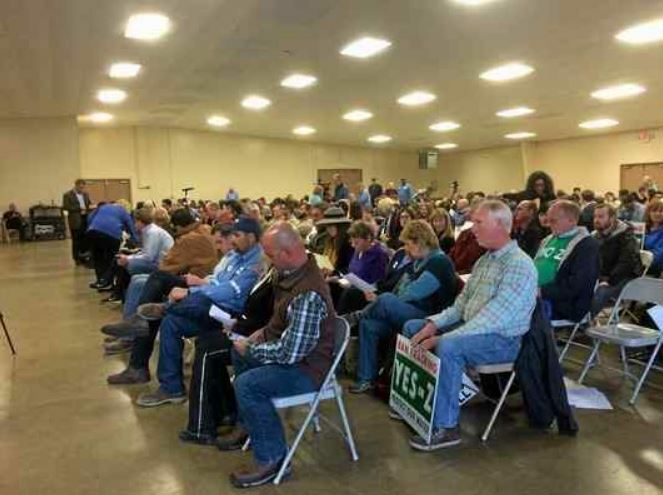 The letter was sent by the Division of Oil, Gas, and Geothermal Resources of the Department of Conservation in advance of a public hearing that took place Thursday in King City. Injection into any aquifer that has not received an exemption by Wednesday from the Environmental Protection Agency or is not on a list of 29 pending cases must cease, according to the Department of Conservation. Read the Monterey Herald article here.